Paris, Louvre, acquired in March, 2012, number unknown. Pen and brown ink over traces of black chalk and brown wash, 25 x 31.5. Inscribed in ink under each niche: Rous. PROVENANCE: Unknown collectors’ marks, both with the initials: P.H., one in an oval stamped over the smaller mark placed twice below the right corner of each niche (L.2084). Vente Piasa, Paris, March 28, 2012, Lot no. 62, attributed to Léonard Thiry. The drawing, showing the arrow piercing Procris’s left breast, is closely related to the reversed engraving attributed to Boyvin (Fig.E.14), which, however, does not show the vertical band of related motifs in the space between the two niches. 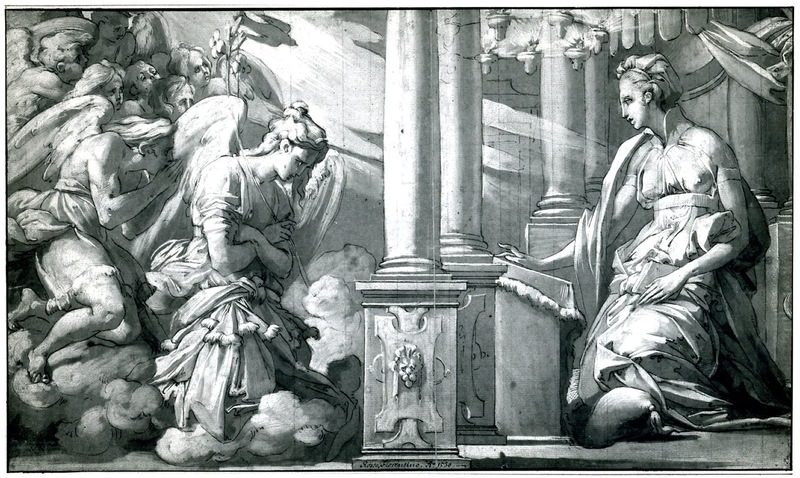 Also, while the print has shadows inside Cephalus’s niche that appear in the drawing, the drawing has no shadows within Procris’s niche that appear in the engraving. 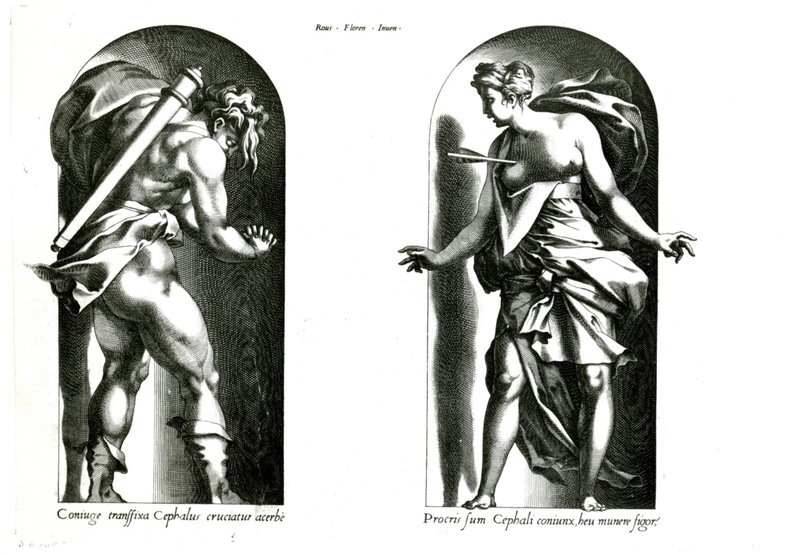 Furthermore, the pointed tip of Cephalus’s arrow seen at Procris’s back is missing from the print. The engraving does not show the line of the niche visible through the end of Procris’s quiver in the drawing. One must assume, then, that the drawing is not copied from the print that is missing also the decorative band at the center of the drawing. The decorative band is strangely not centered, perhaps to avoid being too close to Procris’s left hand extended beyond the edge of her niche. Most of the objects filling this band can be related to Cephalus’s role as a hunter, except the details at the bottom: a wreath, a glove, and what seems to be a small, grotesque head wearing a long, drooping, pointed jester’s hat with a tassel at its tip that suggest play and perhaps victory at a contest. If, as seems likely, this band was not originally conceived to find its final place as it appears in this drawing, then one might assume that it is but one detail in a larger scheme of decoration with other painted figures, perhaps also in pairs, related to other Ovidean stories. The destroyed Salle Haute (L.43) would be a possibility but for the different known shapes of its figural settings and the subjects they contained, the gods and goddesses of antiquity rather than the lesser characters from Ovid. Evidence for Rosso’s decoration of other spaces, the Small Gallery (L.41), the Galerie Basse, unfinished at Rosso’s death and finished with gods and goddesses by Primaticcio (L.44), and the Grande Salle (L.45) of the Pavillon des Poêles, is either too scant, wholly missing, or not suggestive of such Ovidean subjects as Cephalus and Procris to secure any relationship to this Louvre drawing. Nevertheless, inclusion within a scheme of decoration with figures in niches and decorative bands may have been the original intent of this drawing. An inventory of 1693 mentions an undescribed panel painting by Rosso of Cephalus and Procris. 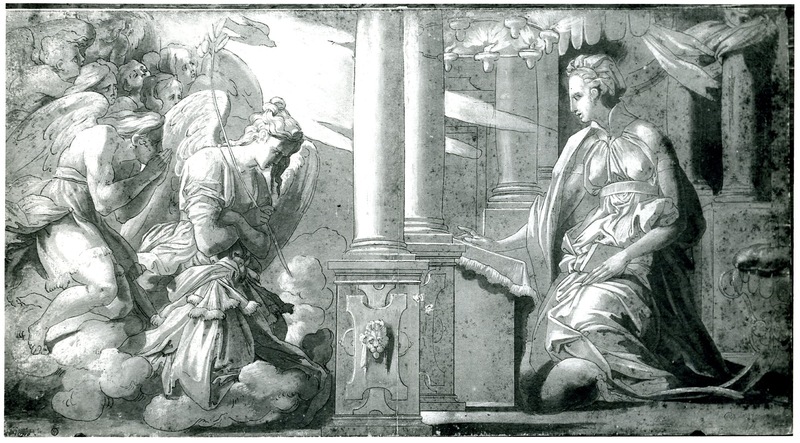 That this painting showed the figures in two niches seems unlikely but not impossible, especially if the drawing was made for another project and not used there. Reused for a panel painting, the decorative band might have been added as the design for its frame, carved and/or painted. 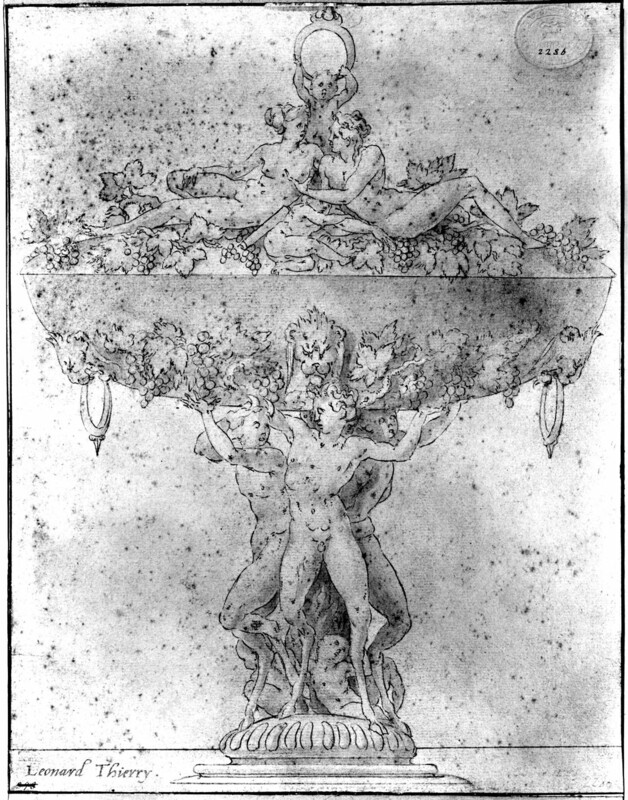 Without obvious changes, except the addition of the shadows within Procris’s niche, the engraver has elaborated what appears in the drawing. The anatomy has been further emphasized by more extensive and darker shading, and the drapery folds have been slightly increased. But the drawing is not less effective by comparison. 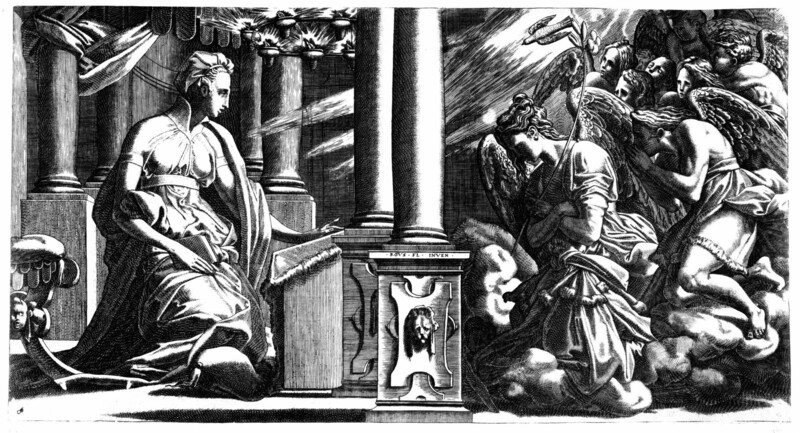 Such is what also appears superficially in the otherwise spiritless engraving (Fig.E.133) of Rosso’s solemn Annunciation drawing in Vienna (Fig.D.43a). 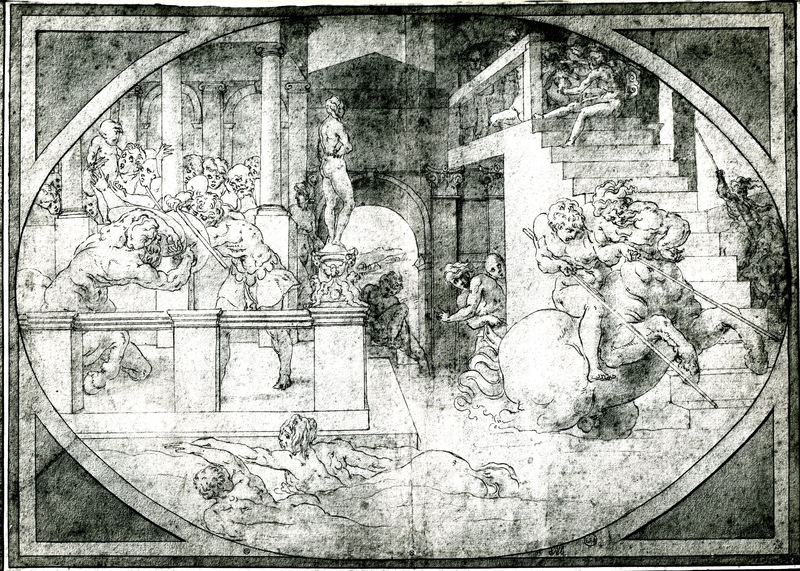 The close copy of this drawing in Ensba, Paris (Fig.D.43 Copy), reduces the effect of Rosso’s original drawing by just missing the acuteness of Rosso’s draughtsmanship in defining the expressive details of his figures. I do not see any convincing evidence of the attribution of the Cephalus and Procris to Léonard Thiry. With his most well known copies after Rosso, the Education of Achilles (Fig.D.53) and the Allegory of Deceit inscribed with his name (Fig.D.56), there is no serious correspondence. Nor with the Design for a Covered Cup (Fig.RD.22), also inscribed with his name. The draughtsmanship of these three drawings is either charmingly decorative at best – the Allegory – or soft and feathery. 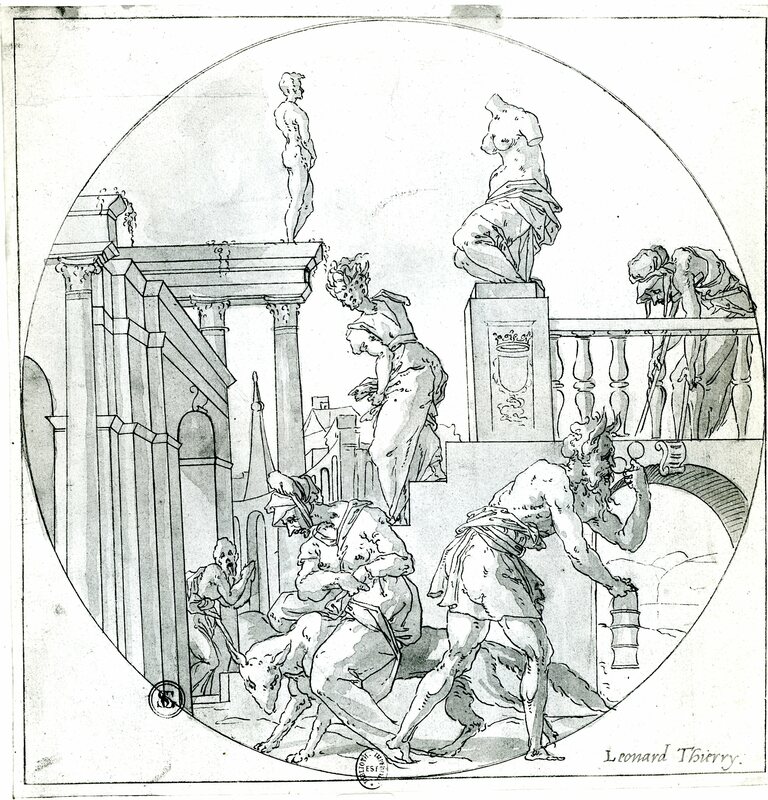 Nor do the best copies by other draughtsmen of Rosso’s drawing show the sureness of this recently acquired Louvre drawing. For its date between 1537/38 and 1540, see the comparisons made with the print related to it (E.14). 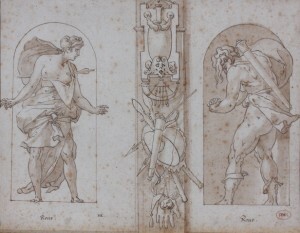 It is not obvious that the Cephalus and Procris drawing, known to me only from a low-resolution digital image sent to my computer, is a copy rather than an autograph drawing by Rosso. I thank Monroe Warshaw for bringing this drawing to my attention.